With school out for the summer, party planning is in full swing! Take advantage of the longer, slower days ahead to get some party planning in the books. We took the liberty of drumming up some party ideas that pair perfectly with our favorite drink, ice cold bubble tea! Gather friends and family around your longest table and warn them of the mess to come. While huge pots, crawfish, potatoes and plenty of napkins are likely already on your shopping list, don’t you dare forget the bubble tea! 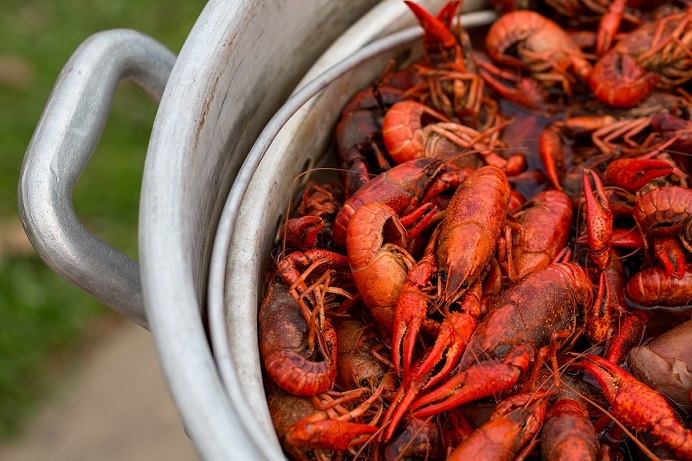 A perfect alternative to alcohol, having bubble tea on hand will add a fun twist to a traditional crawfish boil. Nothing quenches the heat of some spicy barbeque as effectively as an ice cold bubble tea! Admittedly, a cold pool helps too! Grilling up some wings, burgers and hot dogs will round out the perfect summer BBQ. Planning a party doesn’t have to be complicated or stress-inducing. Some of the best parties we’ve ever attended are those that are simple! A casual and low-key picnic in the park can make for the most perfect of summer celebrations. Wrangle up the friends, a few big blankets and some snacks to munch on and you’re well on your way to planning your picnic party. We can only think of one thing that would put your picnic over the top, bubble tea of course. Regardless of what kind of party your host this summer, don’t forget to add drinks to your shopping list. Stop by one of our Fruitealicious locations to pick up refreshing beverages for your guests. Not only will you check one item off your party-planning checklist but you’ll add a fun element to your shindig!